Built around Watson technology, IBM's new service pulls in and analyzes massive amounts of real-time data provided by personal electronic devices, such as fitness trackers, connected medical devices, implantables and other sensors. The company will also expand its MobileFirst for iOS portfolio of apps to include HealthKit-powered software. To better serve potential customers, IBM is establishing a dedicated business arm in Boston, Mass., called IBM Watson Health that will see 2,000 consultants, medical practitioners, clinicians, developers and researchers focus on building out Watson Health. The computing giant also purchased healthcare technology companies Explorys and Phytel to expand its current healthcare analytics capabilities. 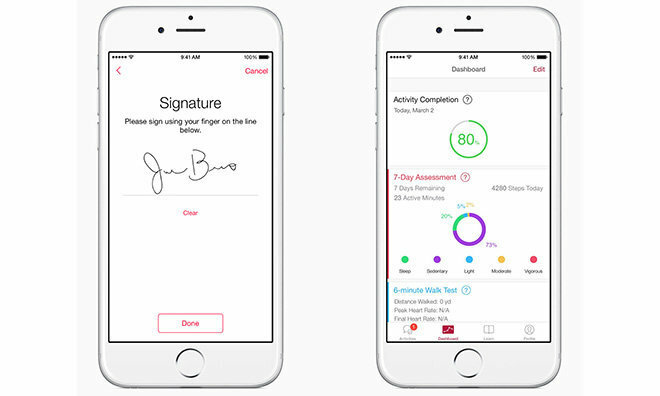 As for Apple, IBM Watson Health Cloud will offer secure, open data storage for health information logged by iOS device owners using HealthKit or taking part in ResearchKit studies. The partnership also opens up access to IBM's data analytics capabilities. "With Apple's groundbreaking ResearchKit, researchers can easily create apps that take advantage of the power of mobile devices to give them rich data from a diverse global population," said Apple SVP of Operations Jeff Williams. "Now IBM's secure cloud and analytics capabilities provide additional tools to help accelerate discoveries across a wide variety of health issues." Apple recently rolled out in ResearchKit as a way to tap into the 700 million-strong iPhone install base for medical research purposes. With Watson Health Cloud, data from HealthKit and ResearchKit can be anonymized, shared and combined dynamically with existing healthcare data sets that were previously difficult to access. "Our deep understanding and history in the healthcare industry will help ensure that doctors and researchers can maximize the insights available through Apple's HealthKit and ResearchKit data," said John E. Kelly III, senior vice president at IBM research and solutions portfolio. "IBM's secure data storage and analytics solutions will enable doctors and researchers to draw on real-time insights from consumer health and behavioral data at a scale never before possible." In addition to cloud services, IBM also plans to create a suite of enterprise apps under the MobileFirst for iOS umbrella, further extending its groundbreaking partnership with Apple. The upcoming apps will help corporations manage employee health needs, from acute diseases to general fitness.